Elizabeth S H. Reviewed by Elizabeth S H.
Mandie manzano has an amazing eye for art and this princess turned out gorgeous. It's large enough to show all the detail but still not so big its intimidating to start. The sparkle is amazing. I I can't wait to do all the princesses! Wonderful canvas, wonderful drills - I highly recommend! Absolutely worth it! 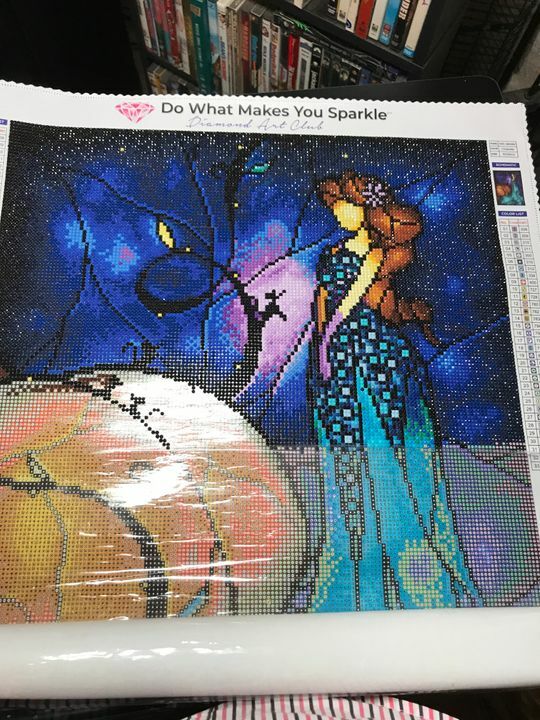 Patrice L. Reviewed by Patrice L.
I am so pleased with my purchase of Cinderella from Diamond Art Club. Shipping was so fast and my package arrived in perfect condition!! The canvas is absolutely stunning! I can’t wait to get started on this kit. I will definitely be buying more kits from DAC. I love being able to purchase from such a high quality company and in the USA! I am so in love with these canvases. They are by far one of the best companies around. I cannot wait to get started. The hard part is picking which one to do first!